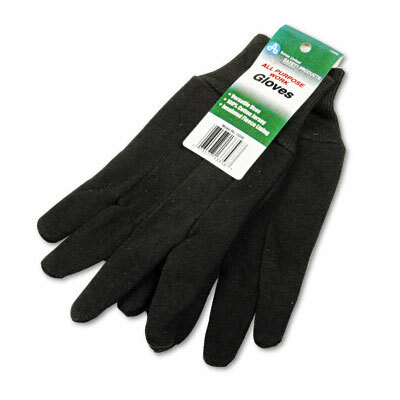 Men's 7-oz work gloves are cotton jersey. Use them for the home, auto, office, warehouse or factory. Men's large size and clute cut, with straight thumb and knit wrists. Men's 7-oz cotton jersey work gloves will protect your hands whether you use them for the home, auto, office, warehouse or factory. Tough and durable, they're men's large size and clute cut, with straight thumb and knit wrists. No need to compromise on comfort and dexterity with these dark brown all-purpose work gloves.